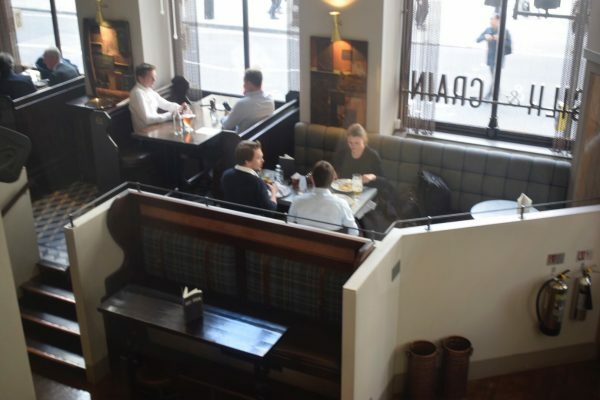 Located in the heart of the city near the Royal Exchange is Silk and Grain. 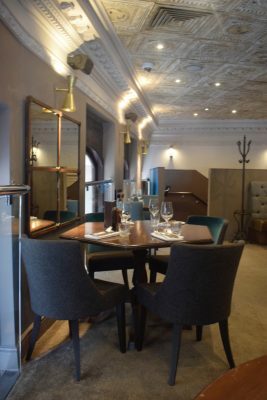 Split over two tiers with a ground floor bar and a first floor restaurant you can drink, dine or both! Silk and Grain specialises in top quality 35 day aged Scottish steak which is supplied by East Lothian independent family run business, J. Gilmour & Co Ltd. Mix the steak with an innovative cocktail menu and you have a winning combination. 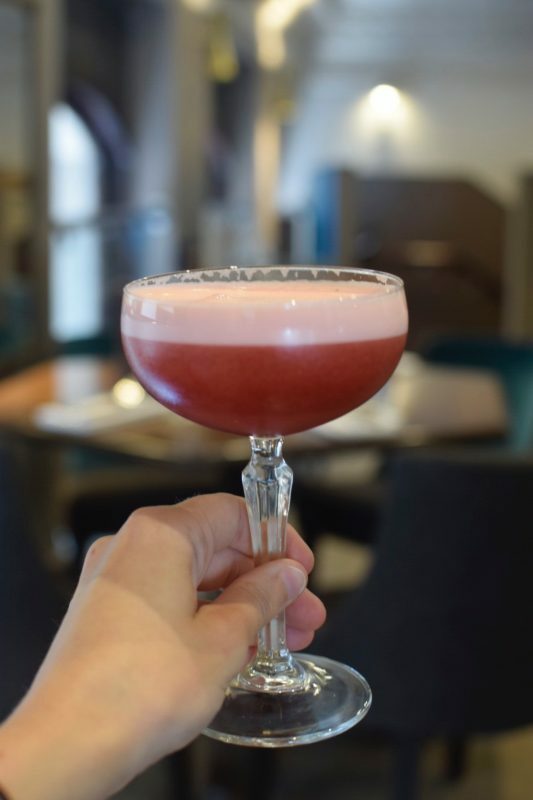 We loved the Panky Club Cocktail: Barrel-aged gin-based Hanky-Panky with raspberry, lemon, egg white. The staple of Silk and Grain are its cuts of Tweed Valley Steaks. However, there are a selection of other dishes on the menu ranging from Duck Confit and Rack of Lamb to Sea Trout and Smoked Haddock. 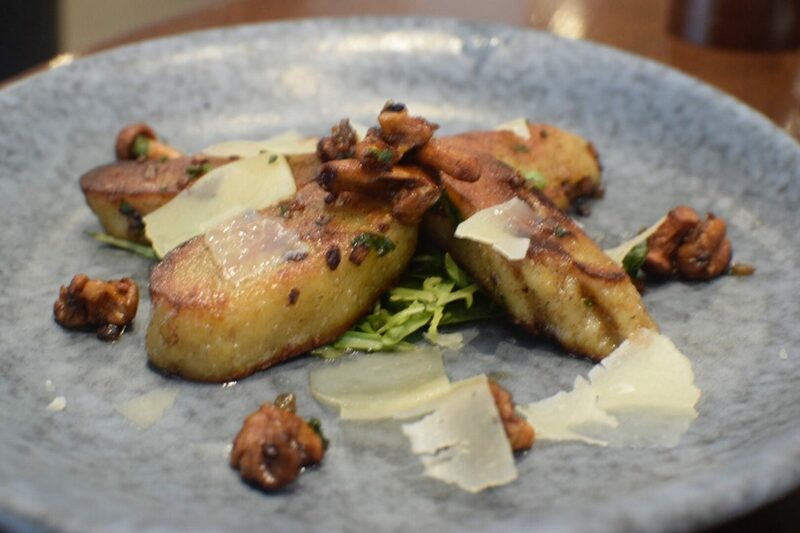 We started with the Potato Gnocchi: Parmesan, girolles, truffle oil. This was one of the best gnocchi dishes I have tasted! The parmesan and truffle oil worked well and it was not as heavy as I envisaged. 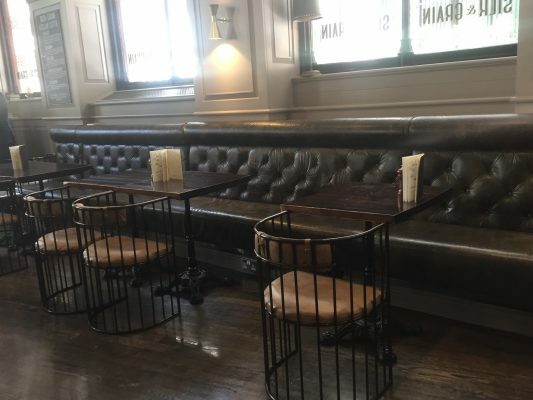 There are a number of steaks to choose from on the menu including Rump, Sirloin, Cote De Boeuf, Rib Eye and Fillet, as well as sharing steaks. All prices include the choice of any side (including sweet potato fries and truffle mac and cheese) and any sauce (including bearnaise and peppercorn). This makes a refreshing change from other competitor steak restaurants where you pay for the sides and sauces separately. 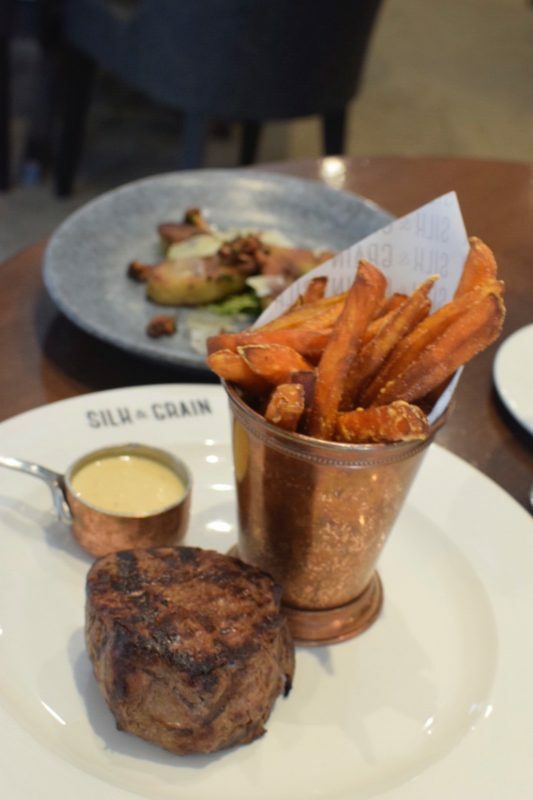 The Fillet Steak was a fantastic cut of meat, cooked medium, with sweet potato fries – as you would expect, not fatty and all and naturally flavoursome. The Silk & Grain Burger: Brioche, pulled brisket, lettuce, Swiss cheese, smoked chilli mayo, fries was also impressive. 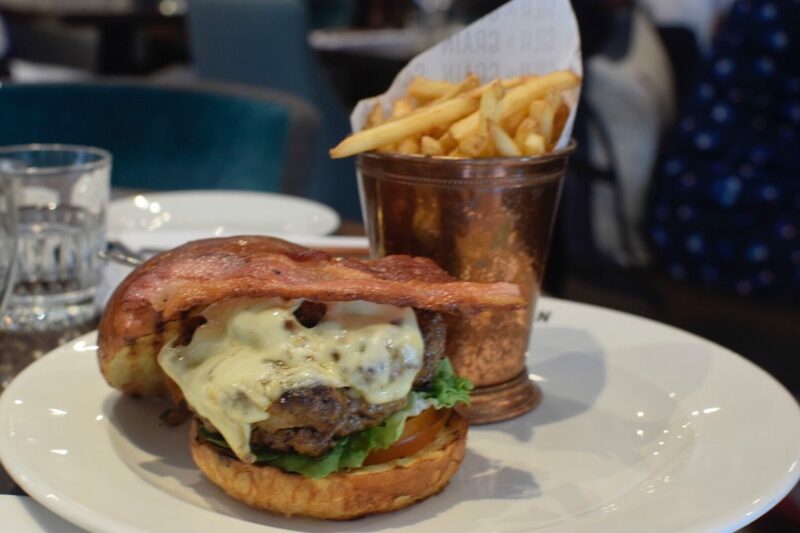 We were asked how we wanted the burger cooked which is always a good sign – it was exceptionally meaty and we added bacon for extra flavour. A fantastic steak and cocktail menu at Silk Grain restaurant in the City with reasonable prices and a good level of service. Tip: Go for the Express Menu at lunchtime. Soup and sourdough plus 200g Sirloin Steak fries and peppercorn sauce for just £25 per person.